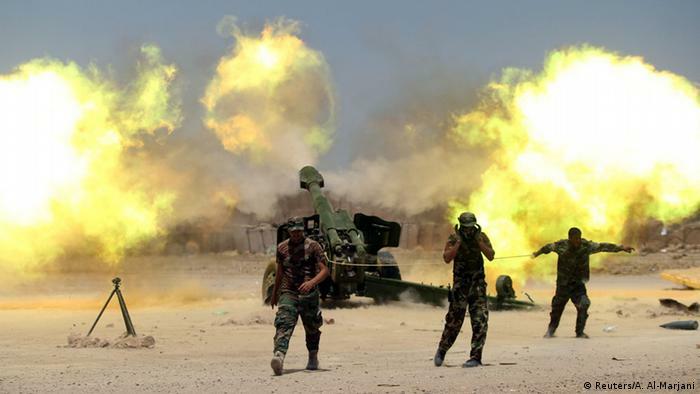 Iraqi forces, backed by the United States and Iran-allied Shiite militias, have entered Sunni-dominated Fallujah, which is located about 35 miles from Baghdad. Iran’s terror proxy Hezbollah is reportedly among the Shiite militias participating in the U.S.-backed offensive to retake Fallujah, which became the first urban center to fall into the hands of ISIS jihadists when they seized large swathes of northern and western Iraq in 2014. The Iraqi force seized a police station in the city, which is located in Anbar, Iraq’s largest and westernmost province. “We are tightening the siege on the militants and advancing carefully,” he added, noting that the Iraqi troops were clearing mines and booby traps while fighting to push ISIS out of Fallujah. Meanwhile, Iraqi Kurdish Peshmerga forces, backed by the U.S.-led coalition, have launched attacks on ISIS east of Mosul. 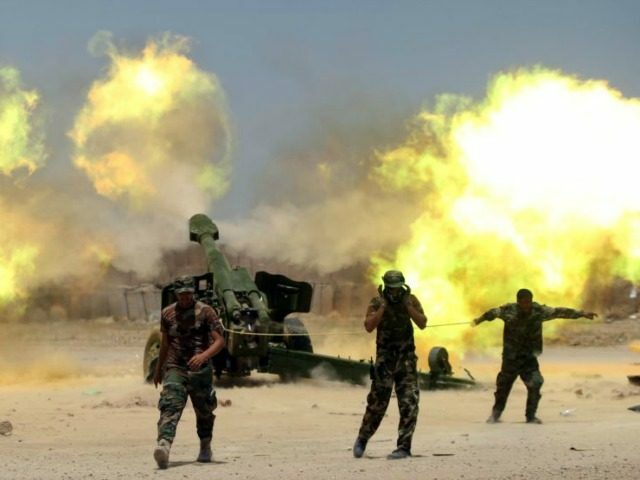 “Some 5,000 Peshmerga and Zeravani Special Forces launched a major pre-dawn offensive Sunday, aiming to liberate 10 villages from the Islamic State (ISIS) group and moving a step closer to an anticipated joint offensive on Mosul,” reports Rudaw. Fallujah and Mosul, the second-largest city in Iraq and capital of Nineveh province, are considered the last major ISIS strongholds in Iraq. In the last year, the jihadist group has reportedly lost territory to Kurdish and Iraqi troops, backed by the U.S.-led coalition. In Syria, the U.S.-backed Kurdish and Arab SDF alliance has launched a military campaign to capture territory north of Raqqa, ISIS’ de-facto capital. Fighters with the Kurdish People’s Protection Units (YPG) – the armed wing of the Democratic Union Party (PYD), which controls large swathes of northern Syria – make up the bulk of the SDF. Rojda Felat, female commander of the SDF-led Northern Raqqa campaign, told ARA News Sunday that SDF troops, backed by U.S.-led airstrikes, have been engaged in battles with ISIS in the northern Raqqa region the past five days. “In the campaign for northern Raqqa, our forces have opened three battlefronts against ISIS terror group; there are clashes in the Ain Issa district, Brigade 93 and al-Nakhil area,” said the commander. Despite the offensives in Iraq and Syria, analysts have warned that it would take years to defeat ISIS in the region, notes The Guardian. ISIS has responded to the pressure with a wave of suicide attacks in Baghdad and northern Fallujah that has killed at least 20 people. With strong backing from Iranian forces and advisors, the assault on Fallujah highlights Iran’s increasingly prominent role in managing Iraqi affairs: In contrast to similar maneuvers in Syria, where the US is taking charge, Iran is the leading foreign power in the attempts to overthrow ISIL in Iraq. Militia units linked to the Lebanon-based Hezbollah terrorist group are part of the military campaign to push ISIS out of Fallujah, reports The Long War Journal (LWJ). Maj. Gen. Qassem Soleimani, the head of Iran’s elite Revolutionary Guards, has also been spotted in Fallujah. The notorious general, who has been linked to the deaths of hundreds of U.S. service members, is in Fallujah at the request of the Iraqi government and military, Commander Muhandis told Iraq’s Alsumeria TV on Sunday, according to Iran’s state-controlled news outlet Alalam.